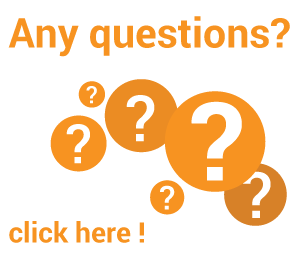 Ask us a question ! Click here ! Often know as shuttle racking. 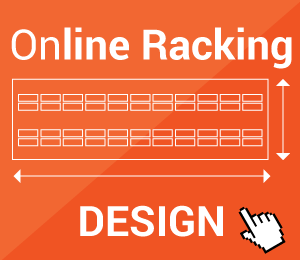 The racking is similar in nature to Drive In racking however each level can be a separate SKU. A shuttle cart is placed on rails under the pallet rails which then travels into the rack and then lifts up to raise the pallet then bring it back the front of the rack. Can be used either as a FIFO or LIFO system. The pioneers with this system was EAB from Scandinavia who market the product through BT the fork truck company. EAB call their system the shuttle. This system has been out for a number of years and it is therefore a little surprising that more systems have not been sold. Another Scandinavian company followed EAB with the Palletrunner. This is marketed exclusively in Europe by Still Fork Lift Trucks. Like all good ideas there follows a spurt of similar products developed. Two more modern satellites systems are known as the Autosat and the Pallet Mole. The Pallet Mole is a particularly interesting unit with some very useful features. The patented pallet counting function solves one of the major drawbacks with deep storage systems i.e. knowing how many pallets are in the lane. The Pallet Mole can also handle pallets on the 1000mm face which is a big advantage over many of the other systems on the market. Many potential users have fears over the reliability of such systems. This is however rather irrational. The technology is fairly basic and the units are generally at least as reliable as fork lifts trucks. Bearing in mind that the racking normally constitutes 80-90% of the value of a contract it is perhaps worth having an extra satellite for peace of mind but statistically more danger of the delivery vehicle breaking down than the satellite unit. Satellite pallet racking is a great option for high density storage if you have limited staffing levels. The remote-controlled shuttles carry goods in and out of deep storage tunnels, leaving your operators free to perform other tasks. When you need to relocate the shuttle from one lane to the next, you can use a standard forklift truck. *Short for stock keeping unit, SKU is a unique numerical identifying number that refers to a specific stock item in a retailer’s inventory or product catalog. the SKU is often used to identify the product, product size or type, and the manufacturer. You can stack pallets far deeper with shuttle racking than any other racking, enabling you to really maximise your warehouse space. Despite storage being high density, the shuttle gives you individual access to each storage tunnel. You can switch from a first in, first out (FIFO) system to a last in, first out (LIFO) system at the push of a button. While the shuttle transports the load to and from the face of the racking and loads the lane, your truck operator is free to work elsewhere, increasing your handling capacity. You can also send the shuttle into the tunnel to count or reorganise the pallets or move them closer to the unloading point. 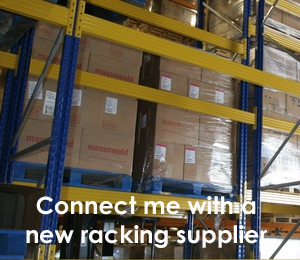 The shuttle handles pallets in the rack, so the risk of damage is minimised. Storing a large number of pallets per SKU*. Either first in, first out (FIFO) or last in, first out (LIFO) storage. Warehouses with limited human resources, as the shuttle does a big proportion of the work. Ensuring efficient retrieval times, as the FLT travel distance is reduced. 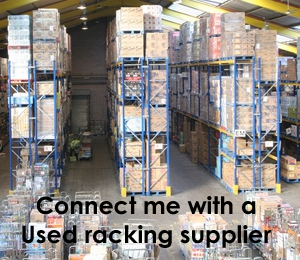 Are all Pallet Racking suppliers cowboys?